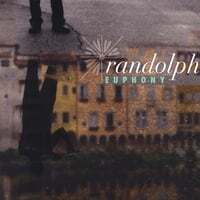 Radioindy is pleased to announce that we have published our CD Review for Randolph to YouTube.com. MySpace page sample / purchase some great new music! Purchase Randolph Music on Amazon! FANS - Please checkout Randolph page and sample / purchase some great new music! FANS - Please checkout Randolph iTunes page play / purchase some great new music! Randolph releases 2 new CDs. Visit www.Randythompsonmusic.com for other links and all song samples. Randolph Press Release on Digg.com! FANS: Increase the popularity of this DIGG press release by visiting our homepage at www.radioindy.com and looking for the "Press Release" section in the lower right. Here, you can find and "DIGG" this press release for Randolph. The more DIGGS, the more exposure! DIGG, DIGG IT, DUGG, DIGG THIS, Digg graphics, logos, designs, page headers, button icons, scripts, and other service names are the trademarks of Digg Inc.
RadioIndy is pleased to present Randolph with a GrIndie Award for the CD "Euphony"